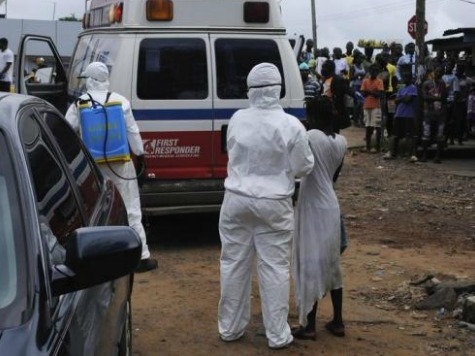 Two female victims of the Ebola virus have allegedly been resurrected, according to reports coming out of Ganta, a town in Nimba County of Liberia. The two women who locals said were resurrected are believed to be in their 40s and 60s, and had recently died of Ebola, according to The New Dawn, a newspaper based in Monrovia, Liberia. The two were residents of the Hope Village Community and the Catholic Community in Ganta. On Monday, according to the article, residents were in disbelief when they saw the dead Ebola victims come back from the dead. The two victims, identified as Dorris Quoi and Ma Kebeh, were said to be on their way to respective grave sites when they suddenly resurrected. Local Correspondent Franklin Doloquee said that one community is now in a state of panic, with some fearing that Dorris Quoi has not been resurrected, but has instead reappeared as a ghost, and it was not appropriate for ghosts to live side-by-side with living beings. Ma Kabeh, the other allegedly resurrected woman, was said to be gravely ill without food or medicine for the two days before she died. The report also notes that other strange events have occurred in Nimba county, where the alleged resurrection took place. Recently, a doctor who claimed he could cure Ebola-infected patients was killed by the virus. According to the most recent numbers from the World Health Organization, Ebola has taken at least 2,917 lives. Liberia accounts for more than half of the total deaths, and has also reported an additional 1,700 cases in just the past few weeks.